SVS School of Dental Sciences was established in the year 2003 to provide dental care and produce professionals in dentistry. The Institute is achieving its objective of becoming a leading university of India by providing educational, clinical and therapeutic services in a synergistic environment. The institute teaches the students that modern health care requires caring and competent primary care providers who place patients’ welfare above all other considerations. The institute has a vision to emerge as a leader in the dental sciences education and development of medical professionals who would provide compassionate dental care of the highest quality and thus serve the communities in a noble manner. 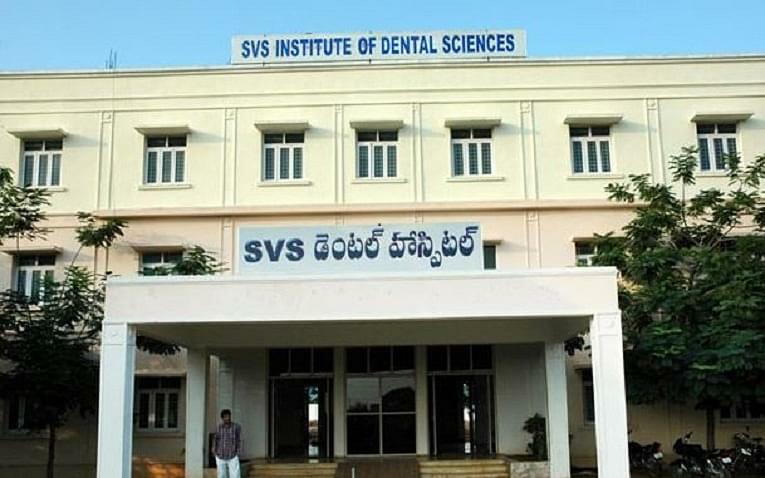 Why Join SVS School of Dental Sciences, Andhra Pradesh? Faculty: The well trained faculty of this institute has achieved national recognition through their contributions in education and training at the College. Every student here gets to access diverse learning opportunities in a professional environment. Curriculum and Methodology: The Institute has developed a curriculum that is based on a broad set of educational objectives, designed to prepare medical professionals. The teaching methodology here is holistic emphasizing not only on imparting traditional knowledge, but also the values a physician needs to practice medicine in an ethical and compassionate way. Facilities: The college provides well-equipped laboratories for all the departments. The college has a library stocked with all kinds of the research paper, publications, and books in all the fields of dentistry. The college provides hostel facilities with other recreational facilities.